First Saturday of the month (Nov-March) plus Third Saturday of November and December. Come join us for the a great market on the first Saturday of each Month Nov-March (plus the 3rd Saturday of Nov and Dec). 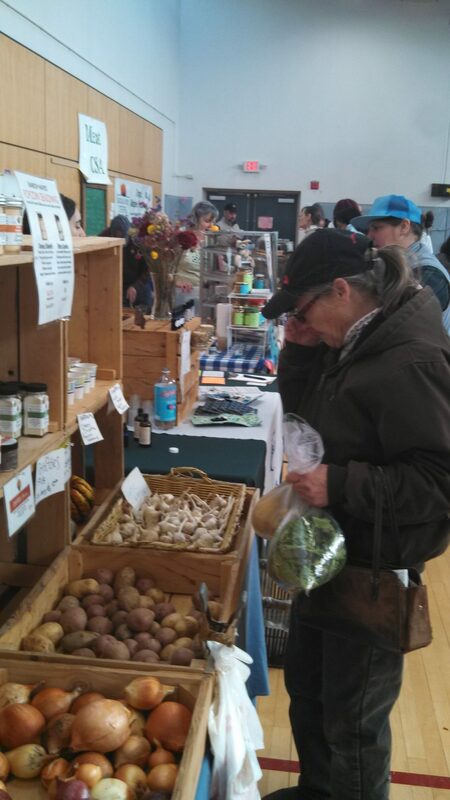 We have over 21 vendors participating with a vast variety of goods available for sale. 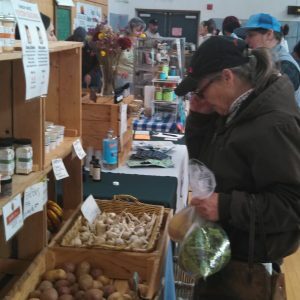 Here’s a sampling of what you can find: leafy greens, bok choy, carrots, potatoes, winter squash, beets, cabbage, herbs, jam, maple syrup, goat cheese and raw cows milk cheese, beef, pork, lamb, goat meat, eggs, local flour, processed value-added foods like cordial, salsa, pickles and more, fresh home made bread, baked goods, honey, apples, pears, cider, popcorn, frozen fruit, coffee, and prepared foods and a lot more!